Bhopal: For last eight years the Bhopal Metro Rail project is biting the dust. The project largely remains on paper till date with general public waiting to board the metro. Bhopal too wants to want to find its name in the metro map. The mass transit system just wants the city wants. Many feel it is the complete package that will make traveling easier and better. 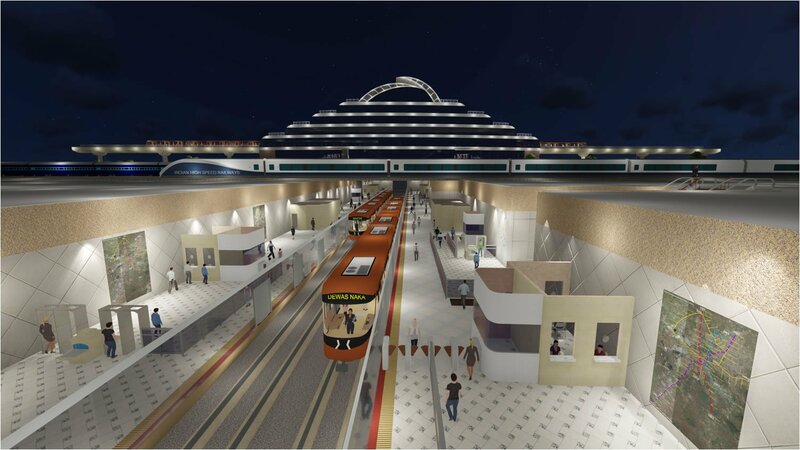 The general public feels that if the metro project is launched in the city, it will lead to the creation of jobs directly as well as indirectly. It will also give the much-needed impetus to the real estate market. Residents who live along the proposed metro route are waiting for metro rail to roll in. Currently, people use private means of transport to travel within Bhopal. This leads to traffic congestion and also increases pollution levels. There are several developing pockets like Kolar that are not well connected to the main city. With metro coming in, the lot of developing areas will get connected to other parts of the city too. The local public is now getting restless and wants the authorities to initiate some plan to implement the proposed metro project. As per the plan it is proposed to have a rapid transit light metro system for Bhopal Metro. There will be a total of 89 stations in 3 corridors covering a distance of 35 kilometers. The estimated cost of this project comes to around ₹80 billion (US$1.2 billion) approximately. The Bhopal metro will have a three-way system involving road, underground and bridges as part of the plan. The expected ridership is pegged at around 2, 20,000 riders per day.